These can be worth a large amount of money, but the biggest beneficiaries are those that purchased the ring a long time ago. 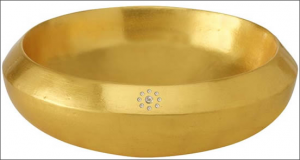 This category includes chains, bangles, school rings, brooches, and other weighty gold items. Gold and Silver Bullion will pay back its fair market value. We think of top brands as names that don’t go out of style or aren’t forgotten (i.e. Tiffany and Rolex). These brands keep their value over time, because the remarket ability of the item tends to increase its value above what it is worth if the item was melted. Here, we include rings, pendants, earrings, and any other jewelry that can be priced in quantity. Each of these items depends on the age of the item and the price of gold when the item was purchased. Each category is unique. Take a look at the gold or silver items you have lying around the house, and decide which category your gold and silver items would fit into. At Global Gold and Silver we take time to assess each piece in front of you and with 20 years of experience, we ensure you get the best price for your gold and silver jewelry. [title] => What Affects The Price Of Gold? We all know that gold and silver prices fluctuate, but why? What are the deciding factors in how much an ounce is worth? Gold and silver prices frequently rise and fall together. Prices can change daily. War, political unrest and country deficits can all have an effect on the price of gold and silver. What Role Does Silver Play in the Price of Gold? Silver is notoriously volatile, even when compared to gold. There’s a lower market liquidity, which means the sale of silver affects the price of the silver itself. It often tracks the price of gold, but the ratio can vary. In 1792, the gold to silver ratio was fixed by law in the US at a 15:1 ratio. But during the 20th century, the average gold to silver ratio was 47:1. The price of silver is driven largely by supply and demand and of course, speculation. The ratio is often analyzed by traders, investors and buyers, and the price fluctuates from there. The silver market is much smaller than the gold market, so a large trader or investor can influence the price of silver single-handedly. Silver fell to an all time low of 24 cents in December of 1932 during the Depression, and reached its high in 1980 at $50.35 per troy ounce. What Specifically Drives the Price of Gold? Gold is a different story. It has a larger market, so large investors don’t make the same waves that investors in the silver market do. It’s been the relative standard for currency until recent times. The last currency to be divorced from gold was the Swiss Franc in 2000. The price of gold is driven by supply and demand and speculation, like most commodities, but saving and disposal plays a larger role in the price of gold rather than its consumption. The gold reserves in the central banks and International Monetary Fund play a role in the price of gold as well. It’s interesting to note that the price of gold is also reflected in the interest rates of the time. It is common for the gold price to rise and fall with interest rates. Gold passed its all time high of $1,900 per ounce in 2011, topping out at $1,921 per ounce, and have been as low as $252.80 in 1999. Clearly the gold and silver market is one that constantly changes, so buyers and sellers need to research when selling or making purchases. The price of gold and silver fluctuates daily, so be sure you know what today’s price of gold is before you sell! Check out what we buy and we pay for your gold and silver! This can’t be emphasized enough. You should know what the current price of gold is when you’re selling. Read reviews on the buyers you plan to visit as well. You can never have too much information. 2. Your items should be tested in front of you. If your gold buyer tells you that he has to take your items to the back to test them, don’t believe it. Each gold item should be tested for purity right in front of you, so you can be a part of the evaluation process. Your gold is sorted according to its gold content (i.e. 14k or 24k), and it should be weighed on a scale in front of you. The buyer should be able to tell you exactly what price you’re getting per troy ounce or per gram. Jewelers value gold by the “troy ounce”, not the ounce. The “troy ounce” is 31.1 grams, and while some buyers pay you according to the weight in grams, others use a system called the pennyweight. There are 20 pennyweights in 1 troy ounce. A reputable buyer should be able to use the weight scale that you are more comfortable with. You want to make sure that your gold is being weighed in pennyweights, but not being calculated for payout by the gram. 4. Read the fine print! It’s too easy to make a mistake by avoiding the fine print when selling online. Make sure you know the buyer’s policy on insurance if they lose your gold. If you’re selling online, many companies will offer free shipping to send in the gold but very high shipping rates to return your items if you decline their offer. Don’t be afraid to take your valuables to many different places. This will ensure that you’re getting the best value possible for your items. Once you sell your gold, make sure you get a full written receipt from the buyer showing the weight, purity, amount paid, and the buyer’s license number. 6. They should be professional. When you finally do make it into a shop, you should always expect private and one-on-one service when selling your gold. In addition, every legitimate gold buyer is required by law to get a government issued ID from the seller. If this doesn’t happen, that should be a red flag for you. Selling your gold doesn’t have to be a stressful experience. If you’re well informed and check that your buyer is reputable, you’ll have no problem getting the best valuable for your gold or silver. At Global Gold and Silver, we want your experience to be enjoyable. Our friendly staff and great prices, make your visit one that you will remember. We want to build successful and trusting relationships with our customers. Come in or visit us online to learn more about our prices and how we can help you to sell your gold and silver! It’s painted in gold and is adorning rare diamonds, with a price tag of $3.15 million. This is beautiful, but Apple updates their phones every year or so and this one is already outdated. Every component of this vacuum except for the motor, wheels, and bag, are encased in 24k gold. Referred to as “the world’s most expensive vacuum”, it has a 10 amp motor, anti-marring wheels, and an outer bag for disposable HEPA bags. You would think it would be overweight, but it only weighs 16 pounds and is considered to be light. 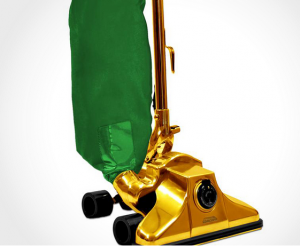 If you’re interested in buying one, GoVacuum is only producing 100 of these gold-plated vacuums. 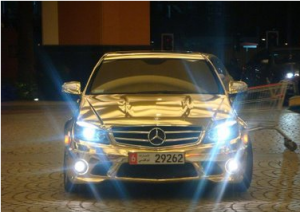 This 24k gold-plated Mercedes Benz has a price of $500,000. It would fit in nowhere except Dubai, where its owner takes residence. It has a top speed of 155 mph but with 600 extra pounds of gold, its performance is cut. How would this look in your driveway? Aurumania specializes in producing products plated in 24k gold in this case, track or fixed gear bikes. This edition has over 600 crystallized Swarvoski elements, a Brooks brown leather seat and matching brown leather grips on the drop bar. It is also hand built and delivered. This piece might look better on a wall with a price of $114,464, making it the world’s most expensive bicycle. This case is made out of 140 grams of 18k gold filled with about 200 diamonds and a logo that is alone encrusted with 400 diamonds. With a price of $101,744, it can be considered a steal to some. Are you looking into remodeling your bathroom? Why not include Luxury Edition and Gallery’s 24k gold-plated sink with diamond accents? This sink has an aluminum casting and carries a bill of $80,000 and is sure to make a dent in anyone’s budget. Sometimes luxury items are ridiculous and you cannot find words to   describe it. Gillian McKeith’s gold-plated juicer is a great example. This juicer from EasyHealth has twin gears to make it easier to juice and removes 95% of pesticide elements from fruits and veggies. It sells for $3,000 and can make anyone’s kitchen luxurious. These gold pieces show how creative and sometimes impractical we can be. Tell us what you found to be the most out-there or interesting gold items! 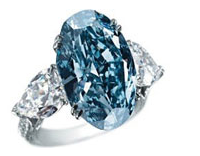 Blue diamonds are the rarest type of diamond found in the world, and this ring carries a 9-carat blue diamond. With an 18-karat white gold band, any girl would go crazy over this ring. But, it costs $16.26 million to own it. “Supercomplication” was designed to beat out James Packard in a timepiece complication race. The 18-karat gold pocket watch was made for Wall Street banker Henry Graves, Jr., required 5 years to design and build. It features 24 complications, including a chart of the night sky over New York City. It was sold in 1999 for $11 million to a private owner. This coin was never officially issued. They were minted, but none were released into circulation because of the changes made to currency laws in the Great Depression. A coin was sold in 2002 for a total cost of $7,590,000. There are still currently 10 coins that were seized by the U.S. Government. The remaining 10 coins, known as the Langbord coins, remain at Fort Knox. This coin’s estimated worth is a whopping $7,500,000. It is considered one of the most famous U.S. coins because of its rarity. This coin series dated from 1795 to 1804. Although silver, the 1804 Bust dollars were not actually struck in 1804, but in 1803 and earlier! 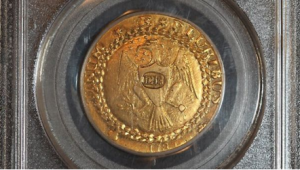 In 2011, Blanchard and Company Inc. sold this gold coin for $7.4 million. 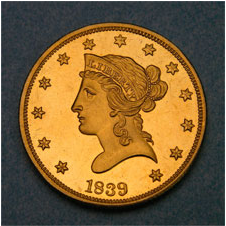 It is known to be the very first gold coin in the United States that had a denomination in dollars. This coin sold for approximately $6.80 million and is only the third known surviving coin of its kind. It was in circulation from December 1343 until July 1344. The half eagle coin is a five dollar piece, and only three are known to be in existence. The estimated worth of this coin is $5,000,000. The last time a coin like this was auctioned was in October of 1982 from Bowers & Ruddy, and was sold for $687,500. 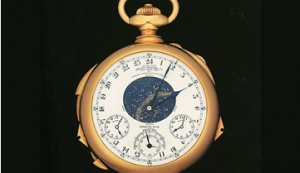 This watch sold in May 2012 by Christie’s for an astounding $4,686,120. It has two movements and is made of 18k gold. This impressive watch was sold to the Breguet museum in 2012. This is considered to be one of the most beautiful coins ever struck, and is estimated to be valued at $3,000,000. This coin is considered ultra high relief because it was struck seven times on a metal press in order to fully bring all the details to attention, which brought the surface of the coin to be nearly pure gold! With less than five known samples of this ten-dollar proof, the estimated value of this coin sits at $1,000,000. It was promised that this coin would be kept in circulation despite the changing laws with gold content in coins, and was minted in Philadelphia. Global Gold and Silver wants to help you sell your gold. But sometimes it can be hard to find the time to get into the store. Well luckily, you can sell your gold online in 7 easy steps. Read on to find out how! Global Gold and Silver does not just take gold. We take gold jewelry, silver jewelry, silver coins, gold coins, diamonds, watches, and even estate jewelry. What’s great about this pack is that it’s free! There’s no obligation and once you fill out the form online, a free prepaid FedEx label will be sent to your email. You’ll also receive instructions on how to safely send in your gold, silver, and diamonds. Every package is shipped overnight, and tracking information is available from the moment you send it out until we receive it. We want to keep you informed, because keeping your valuables safe is our priority. We also offer free insured shipping to keep your valuables protected. After we receive your package, we open and inspect it under video monitoring. An expert appraiser will evaluate each item in order to get you the maximum payout that you deserve. We will inspect your gold, silver, diamonds or other valuables carefully and thoroughly to get you the best possible price. Once we’ve decided on a fair price for you, we’ll contact you with our offer. You have the option to accept or decline within 10 days. This means you can shop around and make a truly informed decision. We believe in giving our customers the best possible payout, but if you do decide to decline, we will return your items at no cost to you. If you decide to accept the offer we give you, you have the opportunity to fully discuss the details of the offer with an evaluator. We want you to make an informed decision and give you the most information about selling your valuables. After you discuss the offer with an evaluator, you can accept! If you decide to accept the offer, we will issue an immediate payment via check or wire transfer. We don’t send a payment before you have had a chance to review our offer. We want to give our customers a full ten days to choose whether to accept or decline the offer. By following these 7 easy steps, the process of selling your valuables with Global Gold and Silver is easy. Let us take the worry away, request your free pack today! There are so many gold and silver items that you can sell, but which are the top few that you will receive the most for? We came up with a list of pieces that are being sold the most at Global Gold and Silver and what you can receive the most for: 1. Engagement Rings These can be worth a large amount of money, but the biggest beneficiaries are those that purchased the ring a long time ago. 2. Gold Jewelry This category includes chains, bangles, school rings, brooches, and other weighty gold items. We all know that gold and silver prices fluctuate, but why? What are the deciding factors in how much an ounce is worth? Gold and silver prices frequently rise and fall together. Prices can change daily. War, political unrest and country deficits can all have an effect on the price of gold and silver. What Role Does Silver Play in the Price of Gold? Silver is notoriously volatile, even when compared to gold. There’s a lower market liquidity, which means the sale of silver affects the price of the silver itself. It often tracks the price of gold, but the ratio can vary. In 1792, the gold to silver ratio was fixed by law in the US at a 15:1 ratio. But during the 20th century, the average gold to silver ratio was 47:1. The price of silver is driven largely by supply and demand and of course, speculation. The ratio is often analyzed by traders, investors and buyers, and the price fluctuates from there. The silver market is much smaller than the gold market, so a large trader or investor can influence the price of silver single-handedly.